Springtime at the RSPB Titchwell Marsh Reserve on the North Norfolk coast is a very special, much-awaited season. Lengthening hours of daylight and milder conditions trigger change. The season, March through till May, is marked by the emergence of insects, a profusion of Spring flora, territory proclaiming songsters, pair-bonding display behaviour, the dispersal of over-wintering waterfowl, the passage of birds through the Reserve en route to more northerly summering grounds and the arrival of the summer-breeding migrants. Titchwell visitors savour the transition week by week during the Spring months. March, the first butterflies, primroses adorn the picnic area, catkins and blackthorn blossom in the hedgerows. By May, the diverse habitats abound with the sights and sounds of new growth, birth and beauty. Filmed and edited by Malcolm Rymer. 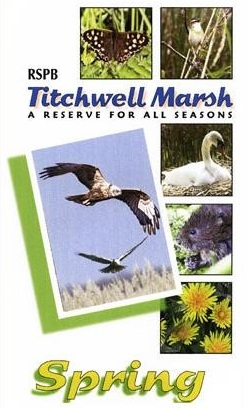 This film is part of a quartet which includes RSPB Titchwell Marsh: A Reserve for all Seasons: Spring, Summer, Autumn, Winter.